We finally found a new source for Corsets! 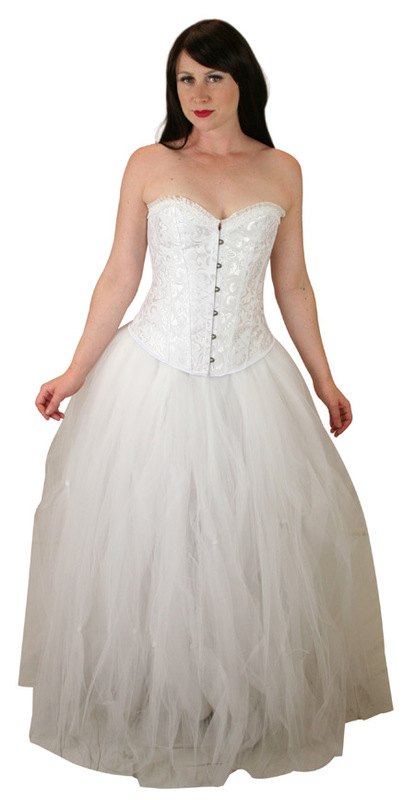 We are offering two different types of corsets: Classic Corsets and Fashion Corsets. 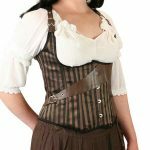 Take a look at our How To Choose a Corset page for more corset information (sizing, care, and how to lace it). You can also find plenty of articles online and You Tube videos on how to properly wear corsets. Classic Corsets are steel boned and can be cinched down to help reduce your waist size. 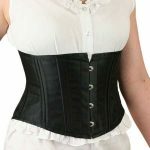 It is recommended that you slowly cinch down the corset to the desired waist size over time. Your body will need to adjust to the tightness and inflexible material. Fashion Corsets provide a more flexible and comfortable fit as they are made from plastic (acrylic) boning. These are not meant to reduce your waist size and can be damaged if over tightened.